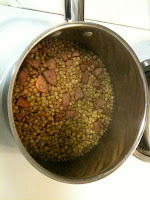 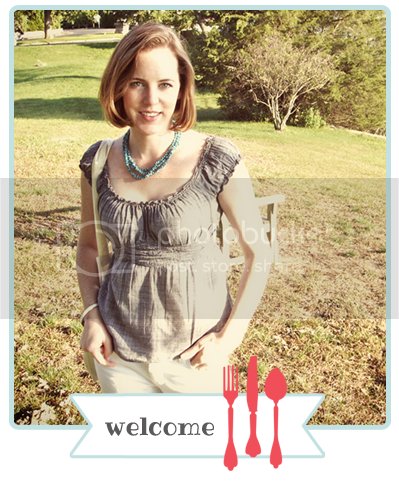 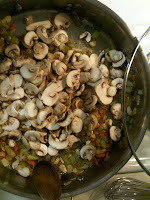 Cook lentils per package instructions with 1 chopped sausage for flavor. 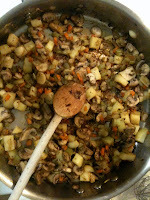 Pick through the lentils to be sure there are no stray rocks - it happens sometimes. 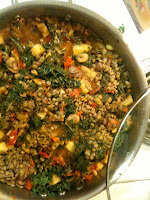 In a sauce pan, prepare about 1 cup of lentils per package directions, I chopped a smoked sausage and added with the water for a smokey flavor. 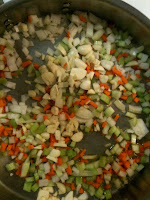 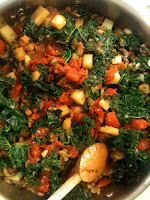 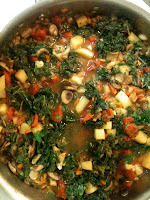 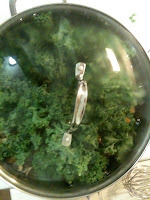 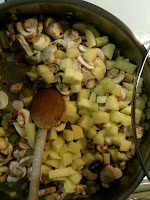 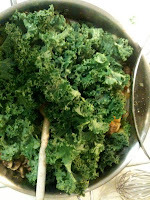 Stir in Kale and cover until Kale turns forest green then add can of diced tomatoes and rest of chicken stock. 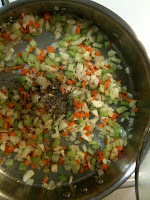 Flavor with Italian seasoning and 2 small bay leaves.